Award-wining photographer Raghu Rai has spent over four decades charting the changing face of India. Photographing subjects from Indira Gandhi and Mother Teresa to the victims of Bhopal, he is one of the most prominent and well-known visual chroniclers of the country. 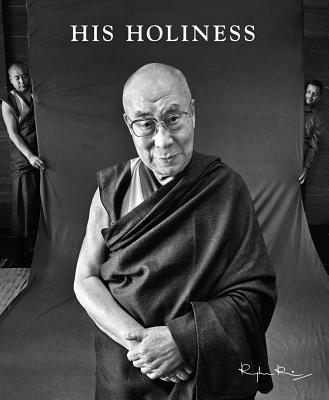 In His Holiness, Raghu Rai has captured the journey of the Dalai Lama in India, presenting an intimate photographic portrayal of the life of one of the most popular twentieth-century spiritual leaders, the Dalai Lama. Raghu Rai was born in the small village of Jhang, now part of Pakistan. He took up photography in 1965, and the following year joined the Statesman newspaper as its chief photographer. In 1971, he was awarded the Padma Shri, one of India’s highest civilian awards ever given to a photographer. Impressed by an exhibit of his work in Paris in 1971, Henri Cartier-Bresson nominated Rai to join Magnum Photos in 1977. Since then, Rai has spent over four decades charting the changing face of India. He went on to judge the World Press Photo awards from 1990 to 1997. Photographing subjects from Indira Gandhi and Mother Teresa to the victims of Bhopal, he is one of the foremost visual chroniclers in the world. "A seamless and intimate body of work by one the most accomplished photographers the country has ever produced...There are moments of striking beauty, genuine tenderness, and surprising humour. And a spiritual and affectionate thread running through two lives, binding it all together." "...what makes the book stand out is not just the encounters between The Dalai Lama and Rai but the seemingly larger- than-life photographs. Every single one speaks up for itself; the monk’s expressions are captured at their best and the monochrome adds to the splendour. The book is an absolute page-turner, and a must for those who desire to learn portrait photography - that too from a maestro like Raghu Rai."